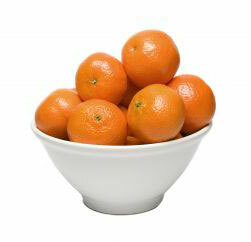 Mandarin essential oil is pressed from the outer peel of the Citrus reticulata fruit, a tropical evergreen tree. Makes a good toner for oily skin. Has anti-septic and sedative properties. Said to be beneficial for acne, congested and oily skin, insomnia, nervous tension, scars, skin disorders, and stretch marks. Is a light orange color and has a fresh, fruity citrus scent that tends to be sweeter than other citrus scents. Blends nicely with herbal, floral, spice and other citrus oils as well as frankincense, juniper, myrrh, palmarosa, patchouli, petitgrain, sandalwood. As will all essential oils, it is best avoided when pregnant. This information is provided for reference use only and is not meant to substitute the advice of a licensed health care professional.